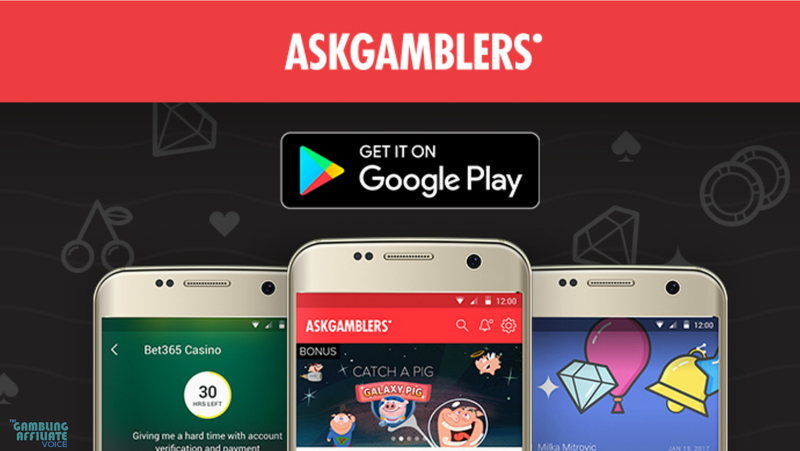 The AskGamblers Android App has just been launched. Android users can now follow all online casino developments and novelties in the iGaming industry on the move. Dear android users, your time has come! Following the immense success of its innovative iPhone App, launched in February 2016, AskGamblers has just released a brand new Android App, already available on Google Play Store. The Android App features a clean and elegant design, ideal for effortless mobile navigation. Thanks to the app’s impeccable live notification system, players, affiliates and online gambling aficionados can easily stay up-to-date on all recent online casino activities, bonuses and promotions, impartial casino reviews, players’ personal opinions and the latest casino complaints and their progress. For more information on each feature feel free to stop by at their Apps page. However, if you already feel ready to try the application out, just download the AskGamblers Android App on the Google Play Store today and stay in the loop regardless of where you are! AskGamblers, officially the Best Casino Website in 2016, provides the most trusted, unbiased casino, slot, and bonus reviews. It also features real player opinions and ratings highly valuable in the community. Thanks to its unique Casino Complaint Service over $8 million has been returned to players so far. Get the truth, then play! AskGamblers Awards 2019 Winners Are Here! Commission Magazine is a new digital magazine that is focused on affiliate marketing, online marketing, business and entrepreneurship. The magazine has just launched issue 1 for February 2019 and is filled with articles ranging from affiliate marketing and search engine optimization (SEO). The magazine was created by John Wright and co-founder of StatsDrone where he felt there were not many magazines around in the affiliate marketing space aside from online gaming. Mike Michalowicz is the author of best selling books Profit First and recently released book Clockwork. In this interview, Mike dives deep into why his system for running a successful business works and explains why most entrepreneurs fail. His Profit First book is certainly a book that anybody should read that wants to start a business and work for themselves. Erik Bergman is is the founder of Great.com and in this interview he shares his passion for not just business but his charity work. Erik’s story is one where he achieved a high level of success and financial freedom but he was looking to do something bigger and more meaningful. Find out what Erik is up to and what he is creating behind the scenes with Great.com. If you have a story you want to share or to be featured in the magazine, you can email read@commissionmagazine.com . 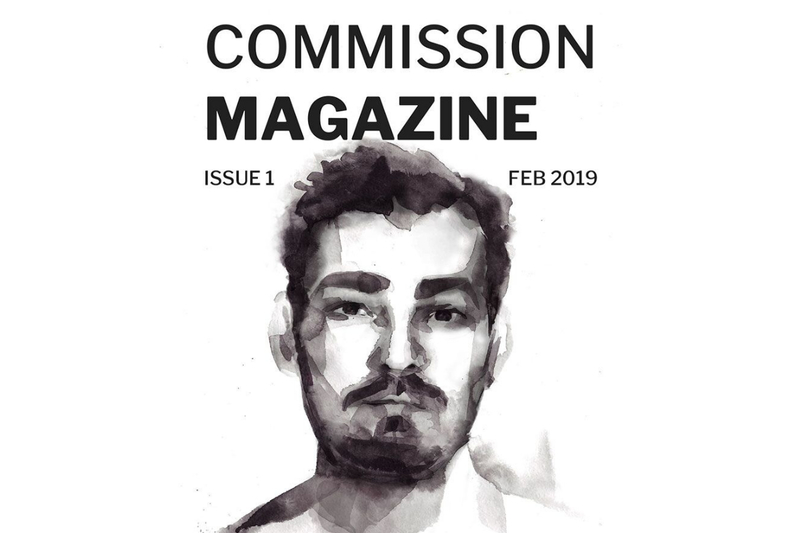 Commission Magazine is a marketing magazine that was created by the people at StatsDrone.com . The magazine is produced quarterly and is free for users to read or download. You can read the latest issue of the magazine at commissionmagazine.com. 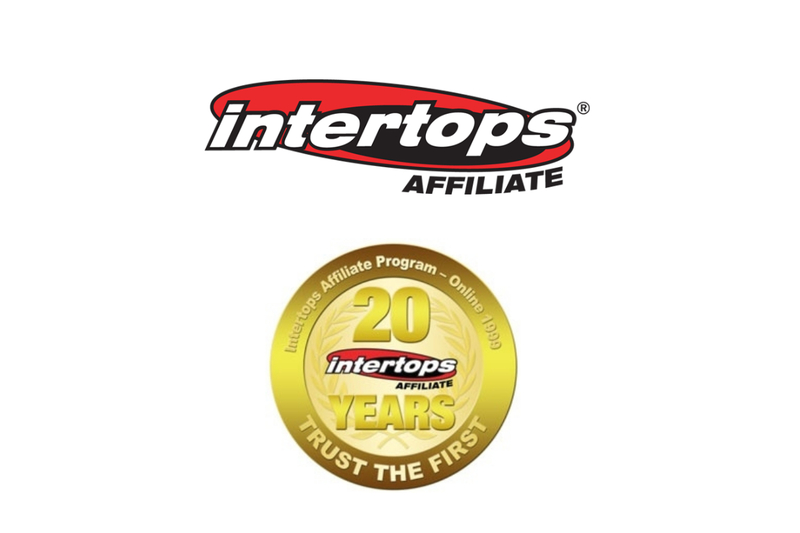 This year Intertops celebrates the 20th anniversary of its ground-breaking affiliate program. To mark the occasion, Intertops Affiliates will be giving away stacks of Apple products at the London Affiliate Conference February 7th and 8th. The pioneering company’s very first affiliate – who still receives monthly commissions for players he introduced way back when – will draw the final winner. Hourly draws over the two days of LAC will award 4 iPhones, 6 Air Pods, 4 iPads, 5 iWatches and 1 Macbook Air. Intertops is the most trusted online gambling brand in the world and is famous for taking the very first online sports bet in 1996. Two years later the pioneering company ventured into the casino business and added a poker room in 2003. One of Intertops’ first affiliates was ‘Suchknecht’. 20 years ago, he was delivering the daily post to the Intertops office. One day he sat down for a coffee with the company founder and learned about the igaming industry. He invented a search engine and started promoting Intertops. Twenty years later, he continues to receive monthly commissions for the players he referred in those early days. ‘Suchknecht’ looks forward to talking about the good old days of affiliate marketing at the London Affiliate Conference. Intertops Affiliates pays an up to 35% commission for the lifetime of the player. The company operates a sportsbook with esports and live betting as well as two casinos and a poker room. Affiliates earn revenue for players across all products. There is no negative carryover and there are never retroactive changes to terms. Over the last two decades, Intertops has earned a reputation for paying affiliates like clockwork. One of the first operators in the igaming industry, Intertops rolled out its affiliate program in 1999, three years after accepting the world’s first ever online bet. The world’s fastest paying affiliate program has understood from the very start that relationships with partners must be based on mutual trust. The affiliate team tried to establish long-term business deals from the word go and many affiliates have been working with the company since the beginning. Intertops launched its first online casino in 1998. There are more than 300 casino games from Real Time Gaming (RTG) in its main casino and another 200 games from Wager Gaming Technology in the Intertops Casino Classic. Several slots have progressive jackpots currently well over $1,000,000. Intertops’ most popular games are available in its new enhanced instant play online casino and new mobile casino. Intertops players compete against each other for top weekly bonuses. Intertops accepted the world’s first ever online sports bet and is still one of the globe’s largest sites for sports betting, casino, poker and games. Over the last three years the company has paid out over 500 million dollars in winnings to its customers around the world. It offers one of the lowest minimum stakes on the internet and has built a reputation as a dependable and serious partner for all types of wagering enthusiasts. Intertops Poker is the busiest poker room on the Horizon Poker Network offering Texas Hold’em, Omaha ring games and tournaments of all stakes and levels 24/7. The active poker room also offers a suite of online casino games from Worldmatch, Betsoft and Lucktap. 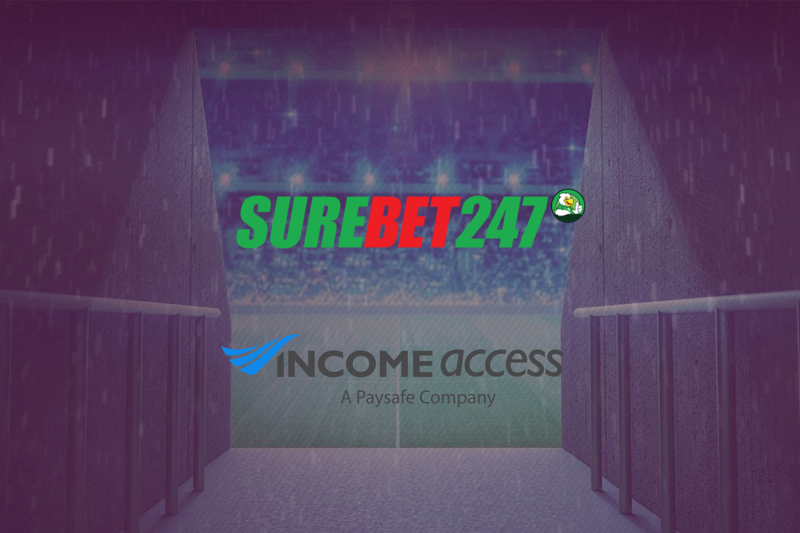 Surebet247, the Nigeria-based sportsbook and casino brand, has relaunched its affiliate programme with Income Access, Paysafe Group’s marketing technology and services provider. Powered by Income Access’ affiliate software platform, the Surebet247 programme will look to extend its brand reach within sub-Saharan Africa by optimising growth and acquisitions. Founded in 2011, Surebet247 has dedicated years to solidifying both its land-based and online market positions within the Nigerian market. The relaunch of the affiliate programme coincides with its plans to expand its online presence into other African markets, including Kenya, Ghana, Benin and Cameroon. In addition to its traditional sportsbook and casino products, Surebet247 also offers live betting, virtual games, eSports wagering and an array of features exclusive to the mobile offering. Each of these products benefits from Surebet247’s commitment to creating optimal user experiences through regular design enhancements, quality support and competitive odds. Surebet247 also offers its players a range of region-specific payment methods. Affiliates of the Surebet247 programme will have access to expert affiliate management support to help leverage brand marketing materials and maximise conversions. Through this support, affiliates will also receive guidance on optimising their use of the Income Access platform by monitoring programme performance and obtaining strategic insights that can inform future marketing initiatives. A well-regarded brand within the region, Surebet247 has established a strong reputation based on its sustained market presence and comprehensive knowledge of the local market. These factors contribute to Surebet247’s ability to collaborate with affiliates on a mutually beneficial, performance-driven approach to player acquisition and retention. Surebet247 affiliates will be compensated through a competitive commission plan based on the number of depositing acquisitions. Further details of the structure can be viewed on the affiliate website. Through recent updates to its website design and last year’s partnership announcement with Betradar, Surebet247 has continued to bolster its product offering. Complementing these improvements is a collection of assorted player promotions across casino and sportsbook. To learn more about the Surebet247 affiliate programme, contact Surebet247. Surebet247, which trades under the name ChessPlus International Limited, is an online and retail sports betting company (also offering casino, virtuals & live betting) with retail operations in Nigeria, Benin and Ghana; soon to expand to Kenya & Cameroon (among others). Currently only Nigeria for online. Founded in August 2011, Surebet is renowned for their fast payouts, user-friendly interface, easy registration process, excellent customer support and variety of market betting options offered on different sports. We offer competitive sports betting odds and exciting promotions to our diverse customers and we also support and give back to communities where we operate. Surebet247 is registered and licensed in all states of operations in Nigeria and is licensed and regulated through the National Lottery Regulatory Commission (NLRC); and are a supporter of Responsible Gambling (18+ only). Founded in 2002, Income Access is a digital marketing and technology company with an independent affiliate network. 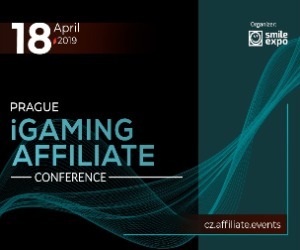 It specialises in providing affiliate marketing and digital marketing solutions to regulated iGaming, lottery, land-based casino and financial trading companies. Through its award-winning marketing software and a partnership-centric approach, Income Access delivers comprehensive data and strategic insight on marketing campaigns across all digital and offline channels. In September 2016, Income Access was acquired by Paysafe Group, the company behind the digital wallet brands NETELLER and Skrill. Income Access is partnered with over 300 brands worldwide. These include: Betfred, Bet Victor, BGO Group, Caesars Interactive, Danske Spil (Danish national lottery), ETX Capital, GAIN Capital, IGT’s Lottomatica, Ladbrokes Coral, Jackpotjoy, Michigan Lottery, Pennsylvania Lottery, Pinnacle, Sportingbet, Tote Ireland, and TwinSpires.